ALL DIGITAL Week 2018 has started, and our partners are taking digital to the next level in their countries. 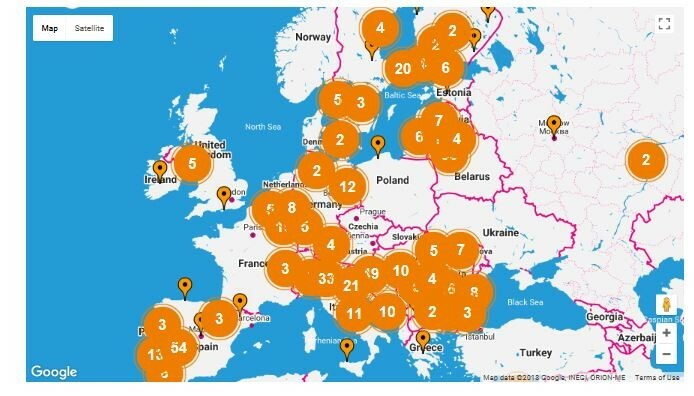 More than 1,245 partners in 25 European countries will bring training, seminars, workshops, talks and other initiatives to an estimated 80,000 participants, throughout at least 2,000 events. 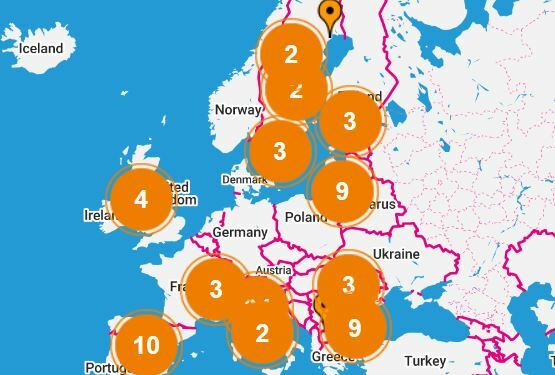 Over 500 events are already showcased on the European map of ALL DIGITAL WEEK. The campaign addresses digital and media literacy, online safety, cybersecurity, coding, and many other themes connected to digital skills and technology with online and offline actions and events. The campaign has two main themes. The first is related to helping people build trust in technology by developing critical thinking and media literacy in a time with a lot of ‘fake news’ and distrust in the media. The second major theme is helping to develop a lifelong learning approach to enhancing digital skills in an ever-changing and increasingly digital-oriented economy. To recognise the efforts of helping to develop digital skills for children, adults and the elderly, event organizers will receive certificates. They also automatically enter the contest for the Best event. The winners will be invited to attend the ALL DIGITAL Summit in Brussels in October 2018. Anybody can join the campaign, even if there are no national partners in your country. If you want to see what events will happen or where, you can check the events map . We invite PARTICIPANTS to share their impressions, opinions, photos, videos or feedback on social media with hashtag #alldigitalweek. And we encourage EVENT ORGANISERS to tell us about your activities on our community platform Unite-IT platform, which provides networking opportunities, hosts the photos, videos and stories from ALL DIGITAL Week. LET THE FESTIVAL OF DIGITAL BEGIN! Remember those days when people used to say that technologies were the future? Well, the future is now. We live in a time when machines are getting smarter, computers are getting better and robots can maintain a whole conversation or even receive the citizenship or go to Mars. Technology is all around us; it is impossible to avoid, and it has its perks and downsides. Even though it is improving our lives immensely, its constant rapid changes are terrifying many and leading to exclusion, but also the amount of fake news, hate speech and social media abuse is escalating. So, this year, the ALL DIGITAL Week focuses on two major themes: helping people build trust in technology by developing critical thinking and media literacy, including being aware of issues mentioned above; and develop a lifelong learning approach to enhancing digital skills in an ever-changing and increasingly digital-oriented economy. This year’s campaign is supported by Certiport, a Pearson VUE business, and 26 national partners across Europe. In the week of 19-25 March, National Partners will bring the ALL DIGITAL Week campaign to their countries, addressing digital and media literacy, online safety, cybersecurity, coding, and many other themes connected to digital skills and technology. To do that, the partners will organize, conduct and disseminate different types of online and offline activities, foreseeing to involve at least 80,000 people. National partners are to lead the campaigns in their countries, but ANYBODY can join the campaign, even if there are no national partners in your country. You can organise an event yourselves and let us know about it by adding it on the ALL DIGITAL Week Map. After the event is conducted, you can go back to your form and describe how it went – let us know your impressions, share participants feedback and photo s. All event organisers will receive the certificate and can automatically enter the contest for the Best training or Best promo event, the winners of which will be invited to attend the ALL DIGITAL Summit in Brussels in October. You don’t know which events to organize? Browse our RESOURCES for inspiration, you can also get some hints from our national partners there. For the first time this year, the campaign will be held in Finland thanks to our collaboration with two new partners – Bildningsalliansen and Make it Finland. Bildningsalliansen is launching the Week with a large public event in Helsinki. The three floors of a house in downtown will be filled with three different programme channels, including a code corner, a game corner, key notes, dialogue, pop-up presentations live podcasting, youtubing and other interactive programme points. Make It Finland and its partners will organise a Make It Festival and will run workshops in libraries and schools on fake news, programming, VR & AR, etc. After a few years, the campaign is coming back to Bulgaria. Global Libraries – Bulgaria Foundation, the first-time National partner, is organizing activities that will include e-skills testing, IT career guidance training, seminars on online safety and online skills for people over 60, among other events. This year, we also have a new national partner in Macedonia – iVote Foundation, working in collaboration with our partner in previous years Open the Windows. They will organize public events, presentations, debates, seminars that will involve various stakeholders, but the targeted groups are young people and people with disabilities. We are also pleased to have CTC Rijeka stepping up as a new national partner in Croatia, bringing all the experience of organising the campaign at regional level in all the previous years. 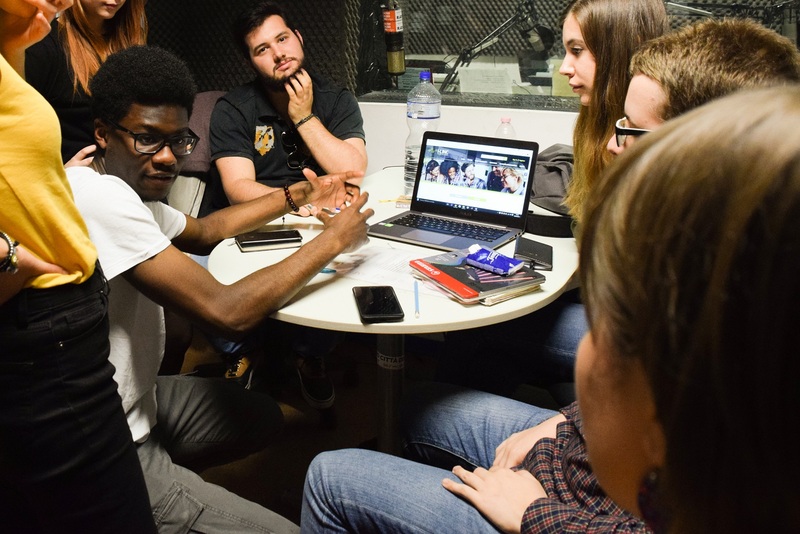 It will develop activities for their event organisers on three bases: build personal responsibility and promote media and digital literacy; use digital tools to improve the chances in the increasingly digital society; and learn new digital skills. What is planned in various countries? Here are just the glimpses of events and activities planned by other national partners to give you an idea of the diversity of the ALL DIGITAL Week. By clicking on the links you can get the full description. In Spain, the Spanish Association of Telecentre Networks, as before, coordinates the campaign through its 11 networks. The Spanish National Partner developed several activities for the promoters of the campaign. The activities have been programmed from the different networks that form the association and include workshops, webinars, talks with experts. A joint digital skills and services promotion campaign will be organized by National Digital skills Coalition in Latvia, led by LIKTA, together with other partners. Traditionally events will be organised across the whole country or broadcast, they will include secure use of the Internet and data privacy, youth ICT, digital skills and services. In Romania, EOS Romania Foundation, involves 100 partners in the campaign to deliver training on on First Click, ICT and Entrepreneurship for Women, Digital skills for seniors, and Minecraft for Education courses. Stiftung Digitale Chancen (SDC) is the German National Partner and will conduct multipliers training events and will teach senior citizens how to use tables. SDC will lead the campaign with the support from Scientific Institute of the Technical University of Dortmund and 21st Century Competence Centre. In Italy, ALL DIGITAL Week 2018 happens in collaboration between ERVET and Fondazione Mondo Digitale (FMD). ERVET will coordinate a wide range of events from promotion of Coding Camp for Girls and digital library service Emilib to Open FabLab session, Apps for Carers workshops for educators and students. FMD will organize workshops in schools on coding, gaming, robotics and events on digital entrepreneurship and digital arts. Föreningen Sambruk and Digidelnetverket, coordinating ALL DIGITAL Week in Sweden, offer a variety of information & training sessions for drop-in’s, including beginner’s classes on ICT skills for employment, as well as protecting e-ID and fostering trust in e-services. Simbioza Genesis Social Enterprise, in Slovenia, plans activities in three ways: through primary schools with pupils and seniors; with senior citizens in an innovative lab of technology Simbioza BTC City Lab; and in Digital Academy with young people and adults. Though involving people of all ages, still the main focus will be on young people in Albania, Portugal, Russia, and Serbia. Thus, Albania, through AIS, will focus in involving young people in using the Internet in the most efficient way and will organize meetings in different schools.T voy Kurs: IT for Youth project in Russia, and its partners as in previous years, are organizing diverse events across the whole country: school codethons, competitions, e-skills testing and IT career guidance training, online safety seminars, meetings with the leaders of IT companies and video lectures for school kids. In Serbia, International Aid Network’s main partners will be 150 schools with ICT training and workshops, coding classes, online safety and e-Participation events. In the westernmost country of Europe, the Programa Escolhas represents Portugal as a National Partner. Some of the planned workshops are on 3D printing, building a robot, social networks for the elderly, Internet of Things, cyberbullying, and Scratch marathon. In the following countries the campaign will have a stronger focus on online safety and digital media literacy. For the second time the campaign will be held in Switzerland, and National partner Ynternet.org puts the emphasis on promoting responsible behaviours in digital environments. They ha ve also partners with TEDxGeneva, and the flagship event will be the TEDx “And the day after?”. In Lithuania, with Langas į ateitį as a national partner, the main activities will include training and awareness raising for safe use of social networks and e-services, anti-bullying campaign, promotion of General data Protection Regulation for citizens and organizations. In Poland, Information Society Development Foundation have developed ready-to-use scripts for meetings for their partners. This year they are ‘Think critical, beware fake news’ where the participants will learn how to identify fake news and how to assess the reliability of information. The two main topics for the ALL DIGITAL Week 2018 in Denmark are Cybersecurity and ‘How to die on the internet’. As in previous years, Telecentre-Danmark will produce a TV programme focusing on practical use, legal aspects and rights pertaining to these functions. Campaign activities will also happen in Czech Republic, Cyprus, Estonia, Greece, UK. What are you planning for the ALL DIGITAL Week? Join the campaign and put your event on the MAP! 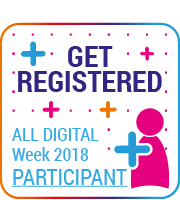 ALL DIGITAL Week is following in the footsteps of the European Get Online Week as one of the major pan-European awareness raising campaigns on digital skills for inclusion and employment. It is run at digital competence centres, libraries, schools, community centres and non-for-profits across Europe, bringing 100,000 Europeans every year in exciting online and offline events tackling digital transformation and its effects. The ALL DIGITAL Week campaign sends a strong message to all Europeans that they should take active steps towards understanding the digital transformation and benefiting from it, by learning new media literacy and digital skills and by developing an adaptive mindset. Underpinning these themes there will be a range of events and activities covering a variety of topics from digital literacy to online safety and cybersecurity to coding. All Europeans with insufficient digital and media literacy skills! This campaign has something for everyone – no matter the age, gender, nationality, education or employment status. You can participate in the campaign in various ways – as a national partner, event organiser, supporter and, of course, as a participant. Learn more in the Get involved section. In 2018, the Unite-IT platform provides networking opportunities for event organisers, hosts the photos, videos and stories from ALL DIGITAL Week. This year, 2,849 organisations in 25 countries engaged over 92,460 participants in 3,506 events and reached millions. Since its first edition in 2010, GOW has always been a truly multi-stakeholder campaign bringing together formal and informal training providers, local and national authorities, other public institutions, IT and other industries in a joint effort to show the benefits of digital skills and support the digital inclusion. The campaign has transformed over the years, the topics have changed, but the essence has stayed the same – digital skills underpin every area of our modern internet-connected life and the impact of gaining digital skills, confidence, and security is huge. In 2017 the campaign highlighted the benefits of digital transformation, but also the importance of partnership in helping people and organisations to develop skills and a mindset to adapt to and take advantage of the constant changes. Have a look at the final report online and see the overall information, statistics, media coverage, as well as the country profiles with their main activities and photos from events. Let’s Get Online – for Work, for Leisure, for Life! From learning how to spot ‘fake news’ and robotics for beginners to ‘cybersecurity’ and ‘digital skills galaxies’, national partners were involved in 27countries for Get Online Week 2017. The partners ran a variety of workshops, seminars, training sessions and events with thousands of Europeans. The campaign brought together commercial partners, NGOs and Government organisations in an alliance that helped Europeans gain a wide variety of digital skills for employment and entrepreneurship, to be more safety aware in our ever more complex digital world and to get the most form online government and commercial services. Learn about the GOW17 Alliance and its resources. This year, I-LINC was the platform to share stories and discuss the Get Online Week events and activities. You can check the Articles and Research section of the platform to get the latest news on GOW17 from our National Partners. At the forefront of the Get Online Week were the Young I-LINC Digital Changemakers, who were nominated by national partners for their willingness and perseverance in promoting digital skills and tackling digital inclusion. During the Get Online Week all of them promoted the I-LINC and its resources as well as organised workshops on the Employement and Entrepreneurship. Meet our Changemakers here, learn what makes them changemakers and read about their contributions. Centre for Technical Culture Rijeka started this year’s Get Online Week with a comprehensive intro lecture about cybersecurity. They explained the differences between main threats on the Internet: computer viruses, malware and adware – and how to defend yourself from them. Another presentation was devoted to various Facebook functions, especially for senior citizens who are not aware of privacy settings. GOW was organized for the first time in Switzerland by Ynternet.org Foundation, which is dedicated to empowering netizenship and training on tools for socio-professional development. During Get Online Week 2017, Ynternet.org ran a specific emailing campaign based on the Mozilla’s Core Web Literacy Curriculum and in cooperation with University of Applied Sciences in Geneva held a workshop on Cryptography and Cryptocurrencies. Luxembourg ran the GOW campaign for the first time thanks to the House of Training, the new player in the in the continuing vocation education market of Luxembourg. The main training event within GOW17 was a workshop Digital skills for companies. The House of Training and SECURITYMADEIN.LU jointly organise this information session dealing with the digitalisation in the business world. It addressed topics such as online communication, e-commerce, cyber security, data protection, electronic archiving, office automation, etc. How to address digital generations – cybersecurity for youth and teachers. eServices – how to offer 1% of personal income tax for the civil society. Telecentres provided the possibility for local people to take part in the webinar from the telecentre with the help of a projector – thus people not only learned about the suggested topic, but also practiced joining the webinar. Cybersecurity and online safety was also a big topic during GOW in Russia, run by PH International’s IT4Youth project. Thus, the whole day of March 29 was marked as Online Safety Day in Russia. In several Russian cities the IT for Youth project center trainers held the series of online safety training events for school kids and told teenagers about security tools available to use on most computers to further protect their personal information and their computer from viruses, spyware and spam. The young participants were also encouraged to answer the questions about potential dangers they may encounter online, talk about strategies of behavior in various situations, and share the basic rules of etiquette they had learned. For seventh year straight, Digidelnätverket organized GOW on a national level. The network Digidelnätverket is a non-hierarchical, independent and democratic networking group working to increase digital inclusion in Sweden. Telecentre-Danmark in cooperation with the DK4 national TV created the programme ‘Get online week 2017 – Digital method of payments, E-banking and security‘. The TV programme was shown on the national television station dk4 every day during the campaign week. It will be repeated 20 times in 2017 on TV and will also be used during training at ICT centres. It is estimated that 1.7 mln people will view this programme and learn about safe digital payments through smartphones. GOW 2017 coincides with European money week, so cooperation with Lithuanian banks association was very useful to Langas I Ateiti – Luthianian National partner – they provided safe e-banking recommendations to all e-banking users and distributed this information through all banks and their clients. National Safer Internet Centre planned both online awareness raising campaign promoting the GOW 2017 objectives and resources including the i-Linc platform and offline trainings and workshops organised in co-operation with AFCEA, Police Academy in Prague and some NGOs working in the field of eSkills development and employment. One of the workshops, on March 31, took place on Smichov high industrial school in Prague. It addressed students with the objective to evaluate the resources promoted during the GOW 2017 campaign as well as to discuss collaborative opportunities offered by the i-Linc.eu platform. One big event was Stiftung Digitale Chancen’s stand at the fair for the “Day of Helping Children and Young People” in Düsseldorf. During three days the team of SDC spoke with educators, politicians and stakeholders about good ways to grow up with digital media. On March 29, SDC in cooperation with Telefonica organized an event for senior citizens: “Chances and challenges of the Internet: useful applications” with key note speakers and a panel discussion. Participantes were presented with the results of a study that evaluated what apps senior citizens prefer when they start to use the internet. This is just the first glimpse at the events of the Get Online Week 2017. To get a better feeling of the campaign, please also check hashtag #GOW17 and our Facebook and Twitter. On 27 March – 2 April, 2017, 27 national organisations with their 5,000 partners will run thousands of events and activities to bring 73,000 Europeans online and to enhance their digital skills during the eighth Get Online Week (#GOW17). In 2017 the campaign highlights the benefits of digital transformation, but also the importance of partnership in helping people and organisations to develop skills and a mindset to adapt to and take advantage of the constant changes. The GOW17 campaign is supported by our corporate partners – Liberty Global, Cisco, Certiport, and Mozilla Foundation. This alliance brings in their expertise and resources, including training and certification programmes, teaching materials with guidelines, lesson plans, videos and other online tools for both trainers and users of various ages and levels of digital skills. Liberty Global, our long-standing corporate partner, has always seen the importance and relevance of this campaign and over the years has provided their support on raising awareness about digital skills, digital identities and online safety especially to young children. Thanks to collaboration with CISCO, 25 Networking Academies will be opened by National Partner organisations from five countries, which will teach NetAcad Courses. Cisco NetAcad is an IT skills and career building programme and platform to take and give courses. For telecentres, relevant courses include the Get Connected Course (basic), IT essentials (IT technician) and Internet of things (no prior knowledge required). Within GOW, Certiport presents their IC3 Digital Literacy Certification, a solution for those who plan to pursue a career in IT or simply become more effective with technology. With learning and practice solutions, assessment tools, and certifications specifically designed for a variety of ages and occupations, the IC3 Digital Literacy program is a great way to ensure that students and employees are prepared to succeed in a technology-based world. Through another new partnership, with Mozilla Foundation, Copyright and intellectual property issues will be highlighted within the campaign events. Their Reform Copyright initiative raises awareness on the need to update and harmonise the copyright rules to make room to create, share, and learn on the internet. Mozilla also offers web literacy courses and an array of free teaching activities developed by teachers, educators and technologists. Each activity includes step-by-step instructions and has been tested in schools, afterschool programs, libraries and community centres around the globe. Whether learning how to code, understanding why privacy matters, or creating openly-licensed web content – it is fun and engaging! Are you excited? We certainly are! We wish all our partners a very productive and engaging week. It is perhaps easy in 2017 to forget that digital empowerment is still vital for society, but 24 National Partners, who have been with us for many previous Get Online Week (GOW) editions, have joined forces again to lead the GOW campaigns in their countries. Together with their 4,000 partner organizations, including public authorities, IT-companies, NGOs, libraries, and educational institutions, GOW17 National Partners will involve more than 70,000 people and reach hundreds of thousands. The main topics for this year’s campaign are Cybersecurity, e-Services, Employment & Entrepreneurship. 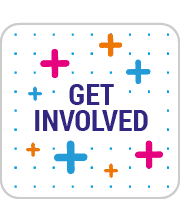 In the spirit of the GOW campaign to tackle the digital transformation, our partners have prepared an array of events both at national and local levels to include various audiences and support them in their online journeys. Well connected to the scope of the campaign, Copyright and intellectual property will be highlighted within the campaign events, through a partnership with Mozilla Foundation. Their Reform Copyright initiative raises awareness on the need to update and harmonise the copyright rules to create room to create, share, and learn on the internet. Most of the partners will address all the topics, at different levels and scopes. In Latvia, LIKTA starts the Week traditionally with the big high level launch event, and devotes each day to a specific topic, such as Digital skills for digital jobs for youth; ICT security day, Digital skills for SMEs. In Russia, the themes will vary from Media Safety and Mobile Learning to Job Online and Internet and Coding training, and activities, developed by PH International and their partners, will include, among others, IT career guidance, video lectures for school kids on start-ups, and an online game on entrepreneurship. To facilitate the campaign at a national level, partners have prepared easy-to-use plans and scripts. Thus, through and for its 11 networks in Spain, the Spanish Association of Telecentre Networks developed several activities. One of them, Connection and discussion with experts is structured as an action, in which the protagonism is shared between an expert (via handouts) and users. They will talk about a certain subject, providing and clarifying concepts, offering solutions, advice, practical applications. Promotion and public awareness of the campaign and its messages will have different approaches in each country and will engage society and organisations that work to support citizens with technology. In collaboration with their major national media partners, Telecentar in Croatia wants to raise public awareness about the key role of digital technologies in a modern society; in addition to online campaign, they will produce and broadcast radio and TV programmes. In Czechia, NCBI will lead an online awareness campaign on Cybersecurity with an emphasis on personal data protection in relation to digital skills for employment. GOW in Hungary will also centre around promotional activities: ComNet will co-operate with the public television to make a 15-20-minute video, covering the topics of online administration, e-commerce, safety online for seniors, digital welfare and improving digital competencies. The first theme of the campaign is Cybersecurity. It is increasingly seen as critical for national security and for companies, but perhaps it is most vital to ensure that society trusts technology and that citizens know how to protect themselves. In Estonia, SWA will promote safe and skillful online behavior and organise a Wise Youtuber 2017 contest. SDC in Germany will hold a webinar for educators to teach them about secure apps for children and which apps collect the most data from them. Programa Escolhas in Portugal will offer a workshop on Cyberbullying. HePIS will run an Online campaign in Greece to enroll over 500 candidates in online courses offered by CISCO in Cybersecurity. In Sweden, Sambruk will focus on understanding, utilizing and protecting one’s eID, thereby fostering trust and confidence in Internet based services and information, as well as in public e-services. Training on copyright and intellectual property on the internet will be conducted in Spain and Russia. A lot of activities, offered during the GOW, combine the topics of Cybersecurity and e-Services, and security for online banking is put forward in a number of countries. Thus, in Lithuania, LiA in partnership with the association of Lithuanian banks, will organize webinars on safe issues of financial literacy and data privacy, e-banking services online, and direct meetings with experts in the public libraries. FIT in Ireland will run training programmes with sections on ‘Safety & Security Online’ and ‘How to’, showing how to bank online, book airline tickets, get insurance, etc. The second theme of Get online week 2017 encompasses not only government services such as tax and benefits, but also personal financial services such as online banking and e-commerce. Telecentre-Danmark’s goal for the GOW17 is to promote the advantages of digital solutions within e-commerce, new methods of payment with the focus on payment through smartphones and e-health in Denmark, which will be done though trainings and a special TV programme. All those who will be attending GOW events in Romania, will be introduced to a new e-government service, which facilitates online payment by any citizen or company of over 60 types of different taxes. In Macedonia, OtW will organize meetings with representatives from government institutions and civic organizations and persons with disabilities on the accessibility of e-government services. Finally Get Online Week will support Employment and Entrepreneurship critical for the ongoing economic recovery across Europe. The focus of the Get Online Week in Slovenia will be digital jobs. Simbioza Genesis will promote digital jobs among students and the unemployed and offer training on gaining most necessary digital skills for young people who are entering the labour market. 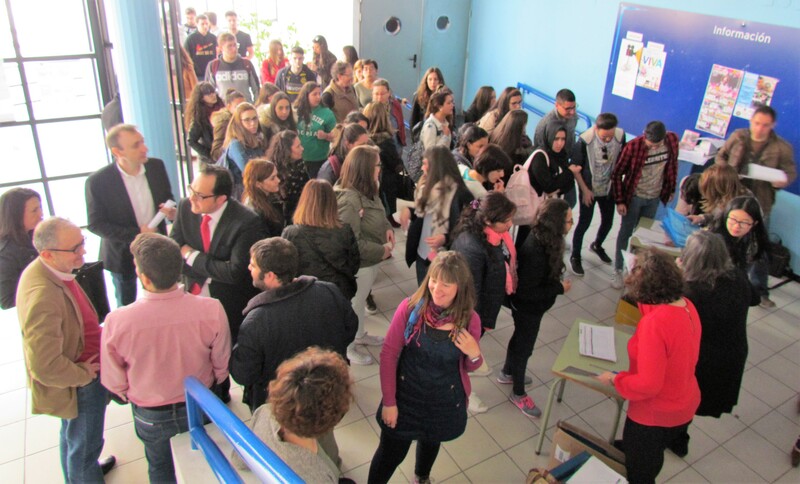 In Albania, AIS organize meetings with high school students to show them the benefits of having good digital skills in the most of the today’s career profiles and also to encourage them to specialize in ICT and Computer Sciences. Activities on skills for employment and entrepreneurship in Italy will target secondary school and university students, young professionals, as well as entrepreneurs from micro, small and medium-sized firms. Topics addressed are the new digital professions born around social media, data security, web marketing and how to exploit social networks for professional-business purposes. In Serbia, IAN and its partners will put focus on raising awareness about the importance of IT skills and starting with learning these skills from the primary school. IAN will continue with the competition Best Coding for kids, where kids from primary school will learn basics of coding during the GOW and after that compete with their apps for the award. In Poland, FRSI prepared ready-to-use workshop scenarios for its partners to encourage users to increase their entrepreneurship based on their hobbies. The plan includes a catchy quiz with questions about skills and online sources, a short presentation of local guests, and then participants learn where to find tools or information that will help them share their knowledge and passion and how to monetize it. Get Online Week 2017 will bring organisations across Europe together to support citizens to be better able to protect themselves online, to understand more about doing government and financial transactions online and to be empowered to create new career opportunities. Get in touch with your National Partner and join an existing partnership. See all the partners here. No National Partner is registered in your country yet? Contact us at gow@telecentre-europe.org, if you want to become one. For the first time, the call for National Partners is open outside of the Telecentre Europe membership! Organize GOW activities independently and let us know about them. In 2017, Get Online Week takes place during 27 March – 2 April and challenges Europeans to learn, participate, share and create through thousands of events and activities tackling the digital transformation and its effects. People and skills, not technology, are the most important pieces in the digital transformation puzzle. The digital disrupt produces anxiety, uncertainty and insecurity regarding the future. Rather than resisting the digital transformation, people and organizations must prepare immediately and strategically for a skillset that will perpetually change and evolve. WHY WE NEED GET ONLINE WEEK? 45% of the European population has an insufficient level of digital skills. In 2017, all campaign partners and stakeholders will use the I-LINC platform to share, connect and learn from each other. I-LINC is a stakeholder platform on digital skills towards employability and entrepreneurship, that will host Get Online Week updates and interactions. 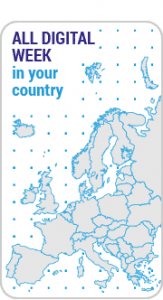 This year Telecentre Europe’s flagship campaign Get Online Week reached 122,000 Europeans across 27 countries. From all those involved in campaign activities, around 79,000 were young people and 12,000 were unemployed. A record number of 29 campaign partners organised more than 5,100 various activities and promoted the campaign in their countries. Click here to download the PDF report! Click here to view the wrap up infographic!